As the EU’s General Data Protection Regulation (GDPR) comes into force this week, searches on the subject increased by 700% globally in the last year. 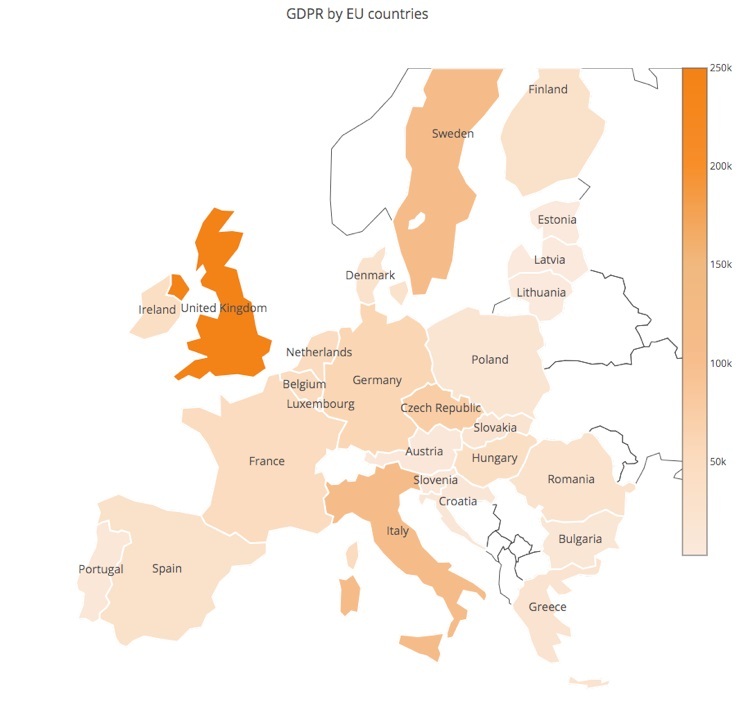 Around the world, Google searches for GDPR increased from 250,000 to more than 2 million, according to new data from online marketing platform, SEMrush. GDPR is a new European Union legislation designed to ensure that EU citizens’ data is private and protected. It comes into effect on Friday, 25 May 2018, and is set to affect every company dealing with EU citizens data, no matter where they are based in the world. With the GDPR deadline fast approaching, searches indicate an awareness and optimism for the upcoming legislation. 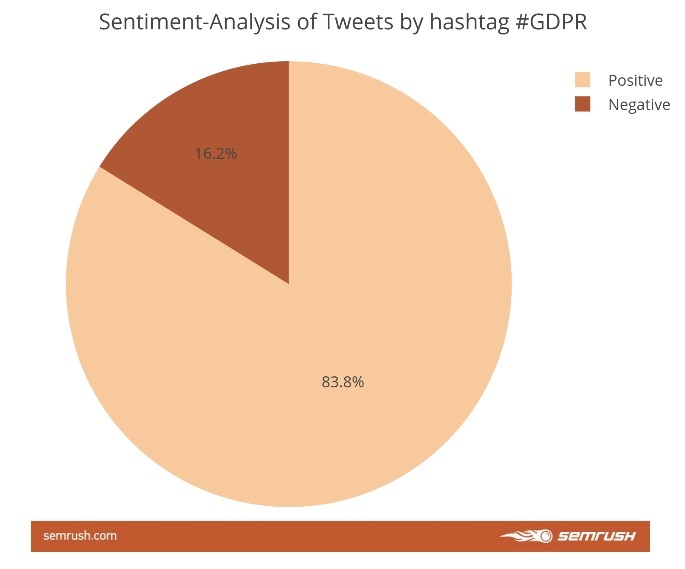 In the last 12 months, Twitter users are optimistic about the regulation’s impact on privacy – a massive 83.8% of tweets mentioning #GDPR are deemed to be positive in sentiment. UK internet users searched for GDPR 500,000 times in the last 12 months. The next two countries were Italy and Sweden, with approximately 100,000 searches each. The Czech Republic and Germany came in fourth and fifth place, where approximately 50,000 internet users from each country for each country, with Czech Republic a little ahead of Germany.